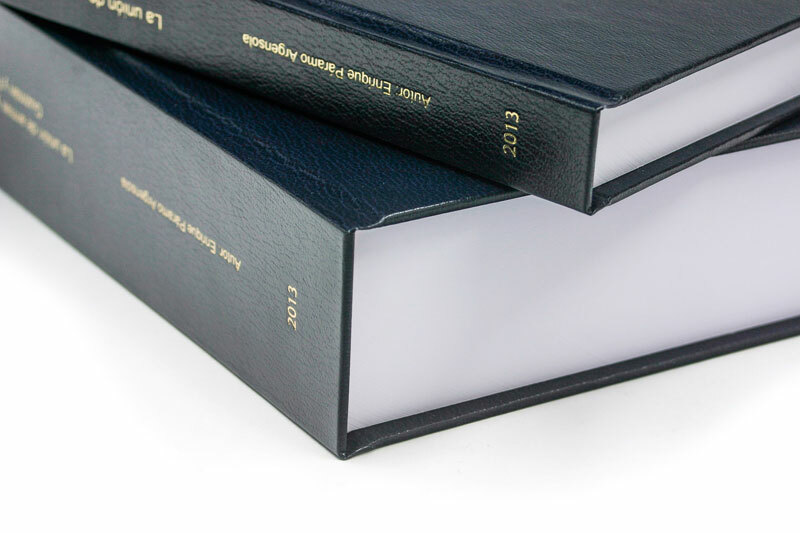 The hardcover binding is the most requested format for theses and dissertations. 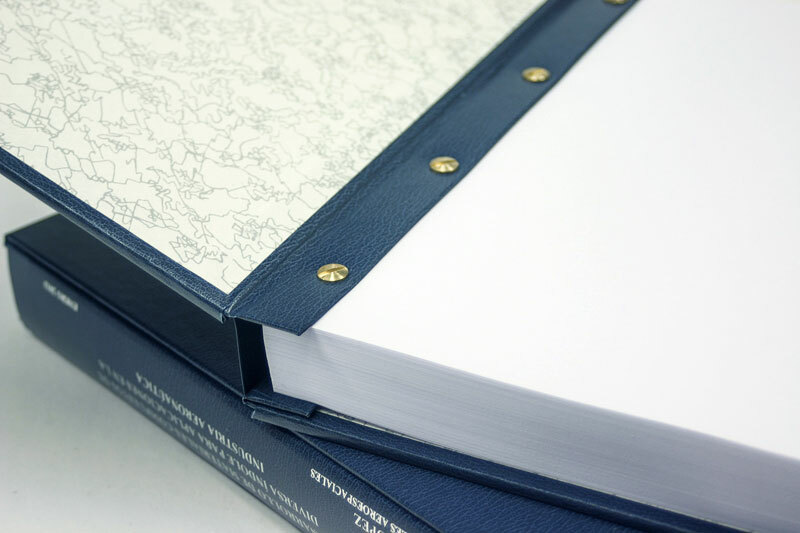 The binding process is a handcraft process, which uses a 3-mm laminating cardboard wrapped with geltex, guaflex, telflex or any other fabric to make the cover. 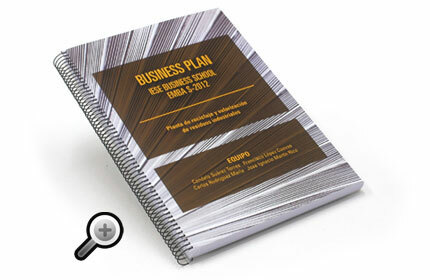 What gives s olid and professional finishes (see cover materials catalog). Cover and spine is embossed according to the design provided by the customer in gold, silver or colours through a pressure and heat system for a durable finish. 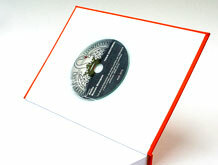 We have most emossed seals of Schools and Colleges for stamping. 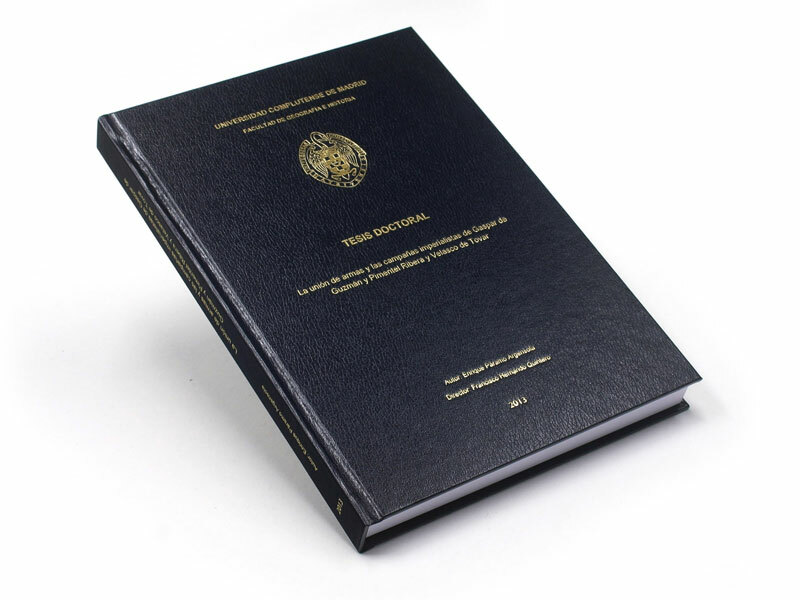 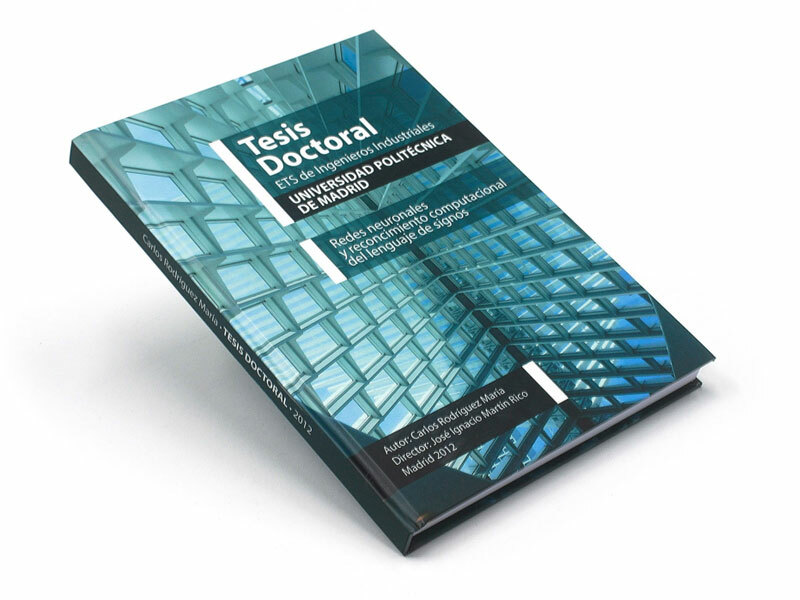 The hardcover printed in full colour allows a high degree of customization of the thesi, dissertation or final degree project. 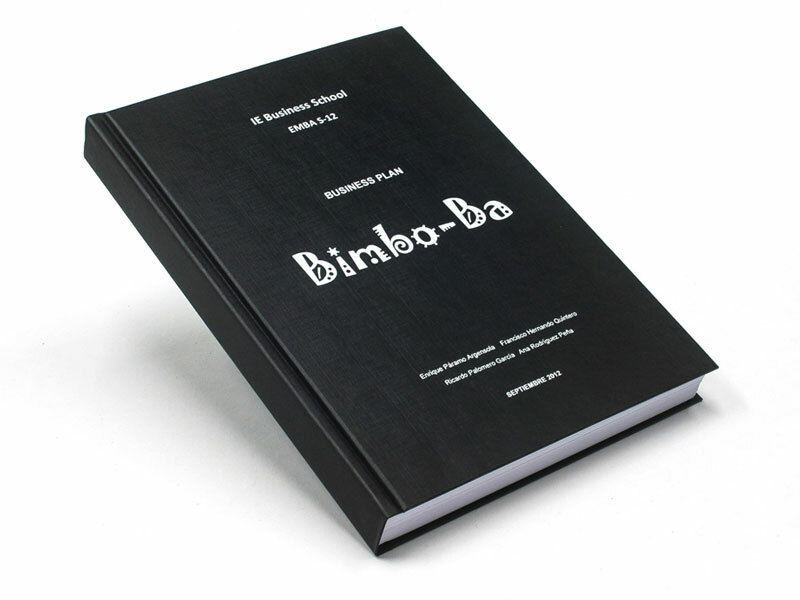 The binding process uses traditional paperboard laminating of 3 mm and is laminated with the printed pattern of the customer. 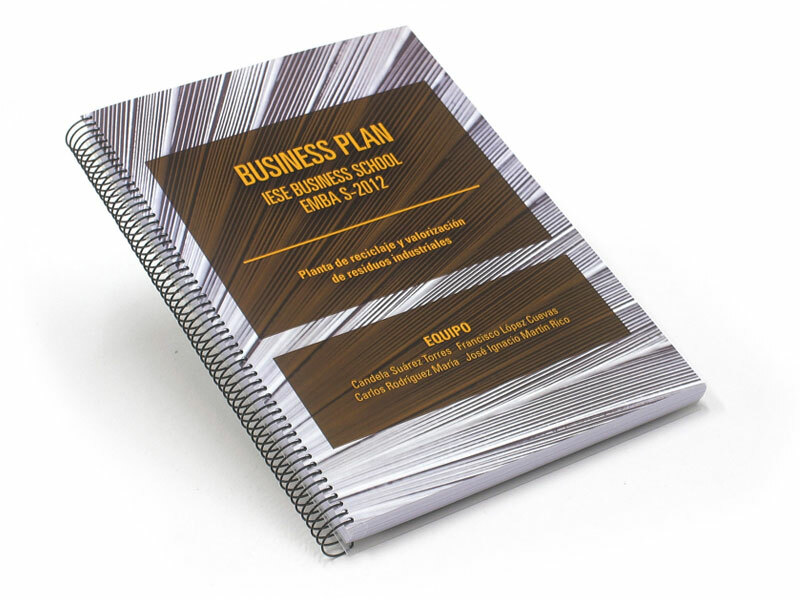 Previously printed customer design has been laminated gloss or matte for a professional finish and durable, thus avoiding fiber breakage or usage deterioration of the printing. 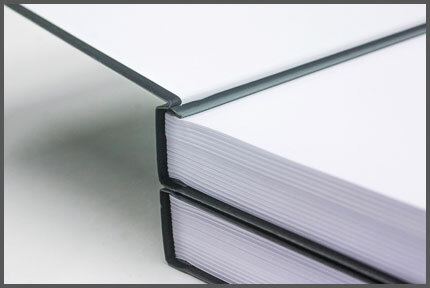 The soft cover binding or perfect binding (paperback binding) is performed on a graphic card with high stiffness. 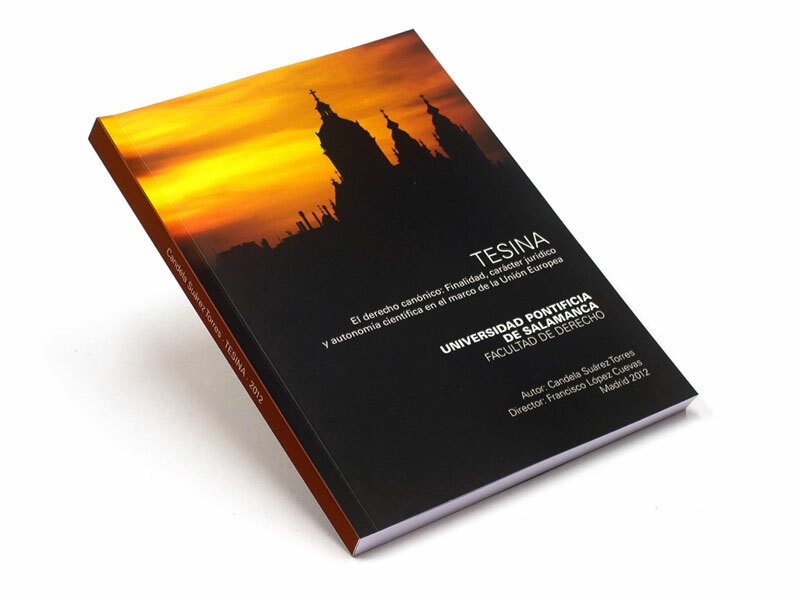 Customer design is printed in full colour on graphic card of 300 gr. 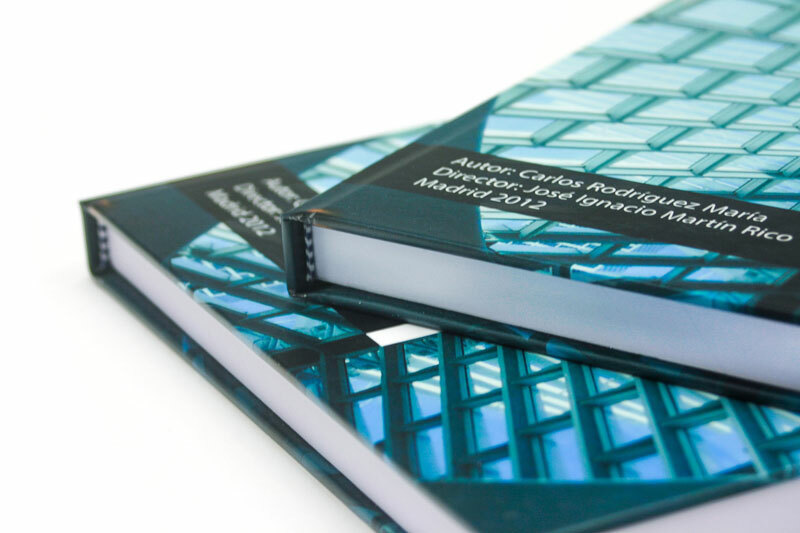 allowing a high degree of customization. 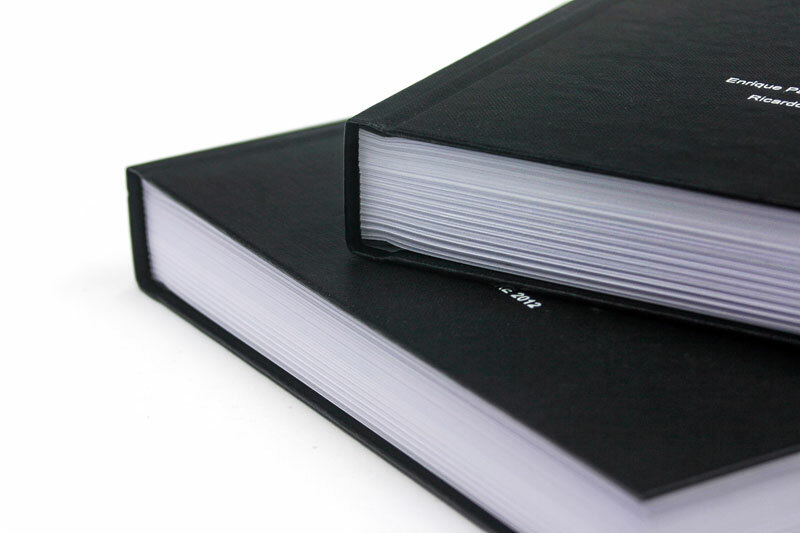 The cover is laminated in gloss or matte for a professional finish and durability, prevents chafing of printing and fiber breakage of the spine. 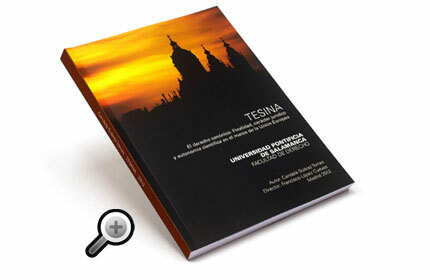 This process does not need embossing because the cover is printed. 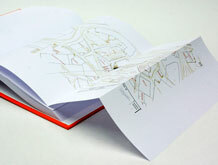 The binding process is a craft, using graphic card of 300 gr. 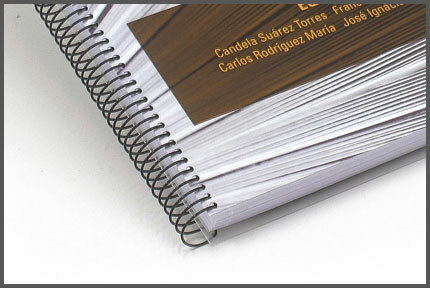 geltex lined, guaflex telflex, or other fabric (see cover materials catalog). 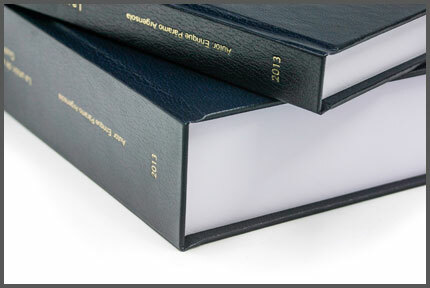 Cover and spine is embossed according to the design provided by the customer in gold, silver or colours through a pressure and heat system for a durable finish. 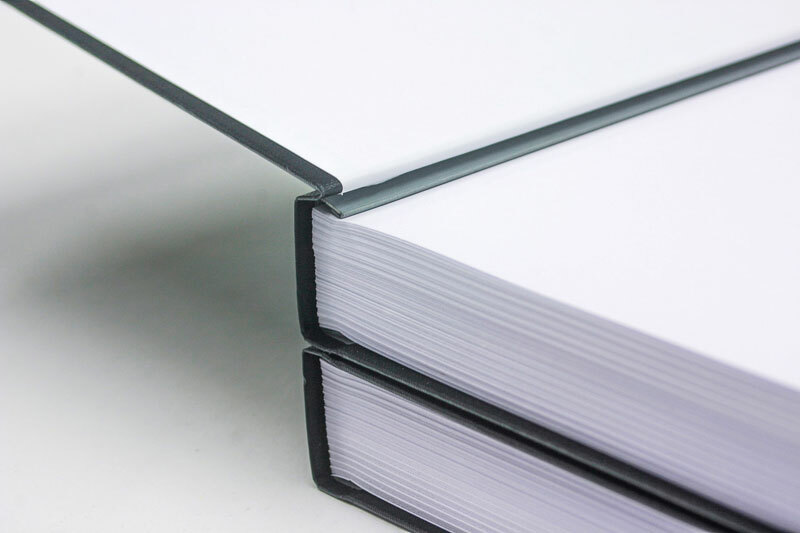 The binding process is a mechanic process in which by means of a metal jaw housed inside the cover sheets are secured to the spine. 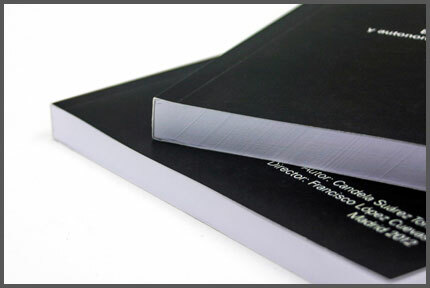 The cover is a cardboard of 2.5 mm. 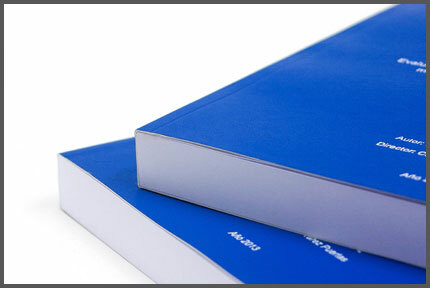 geltex wrapped, guaflex or telflex. 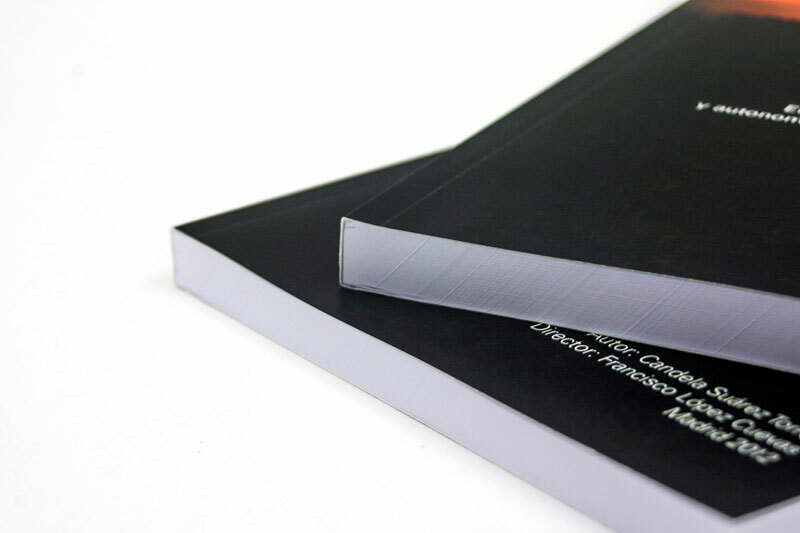 What gives a solid finish. Number of finishes are limited. 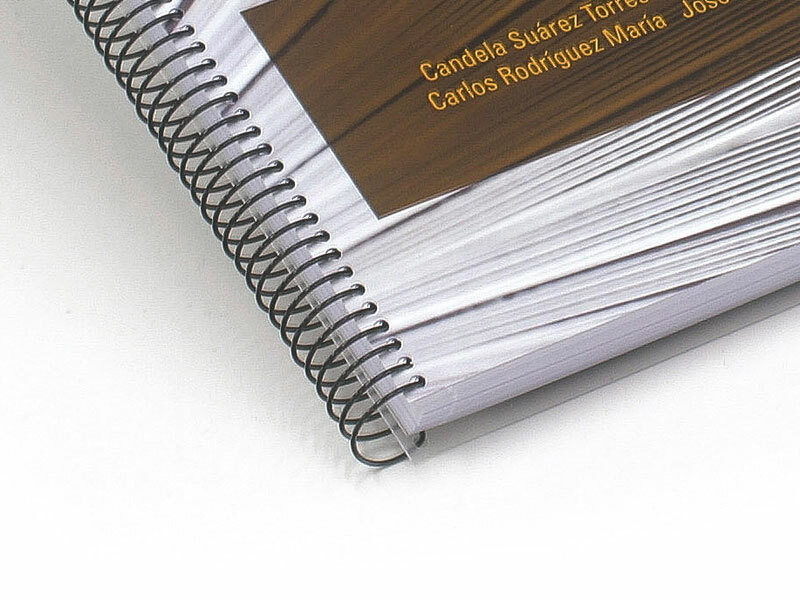 It is embossing according customer design in gold, silver or colours lettering with a system pressure and heat to a durable finish. 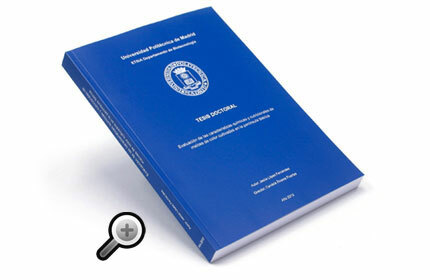 We have most embossed seals of Schools and Colleges for stamping. 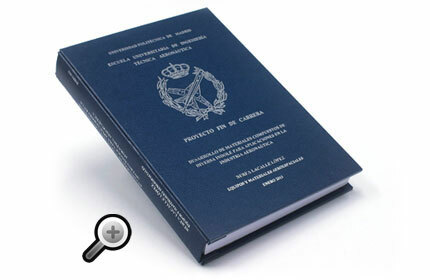 It does not allow to emboss on the spine. 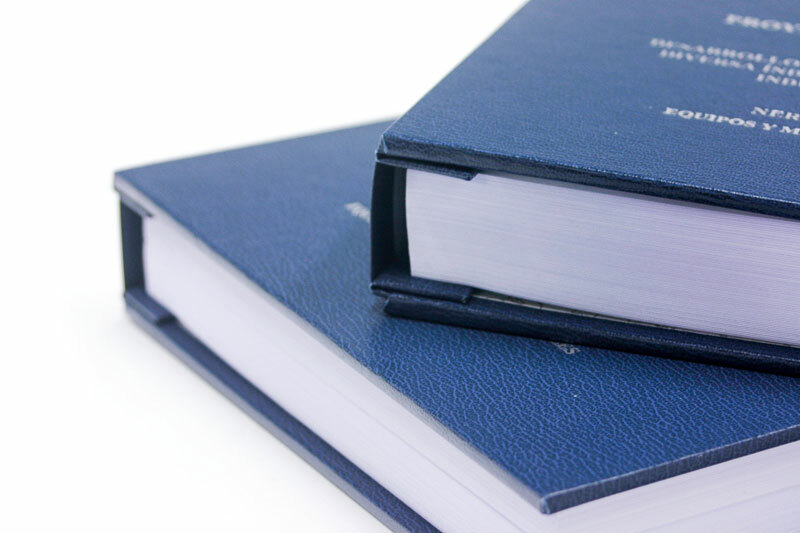 This system allows to add or remove pages. 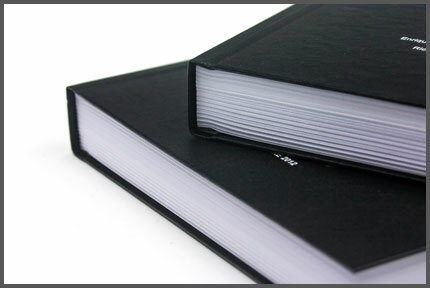 It is a hardcover binding typez composed of front and back cover and a flexible spine. 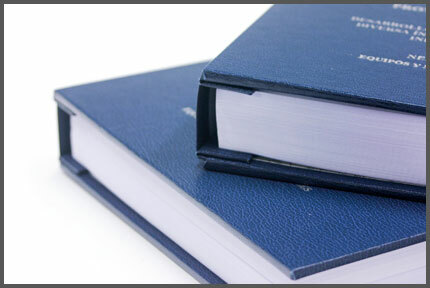 the pages are held together with brass screes. 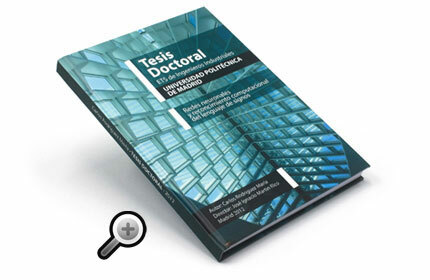 The covers are made using cardboard laminating of 3 mm. 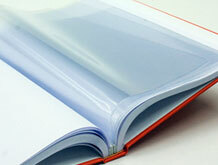 geltex wrapped, guaflex or telflex. 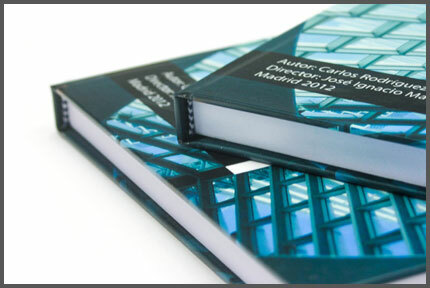 What gives solid and professional finish (see cover materials catalog). 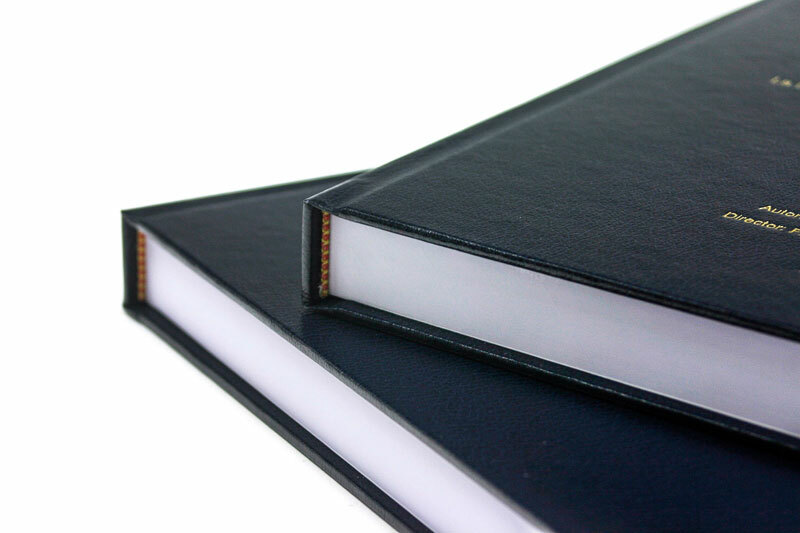 The cover design is embossed as indicated by the customer in gold, silver or colour through a system pressure and heat to a durable finish. 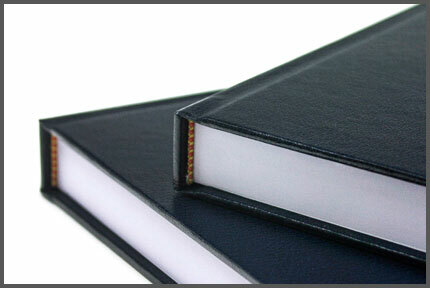 Wire binding is a system similar to a notebook. 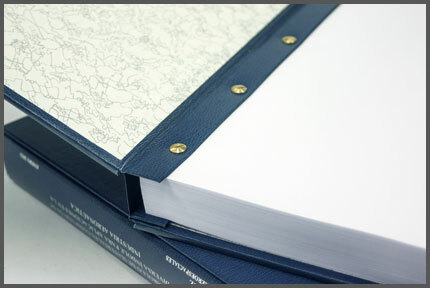 Simple and economical binding allowing opening 360 degrees which makes it ideal for working on the document. 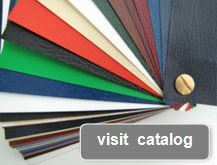 Check out our cover materials catalog for lined binding in telflex, guaflex and other fabrics. 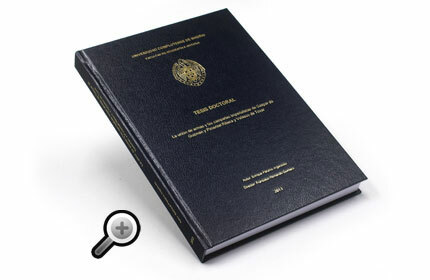 We can burn your thesis in a CD and put a foam button or plastic pocket to contain it. 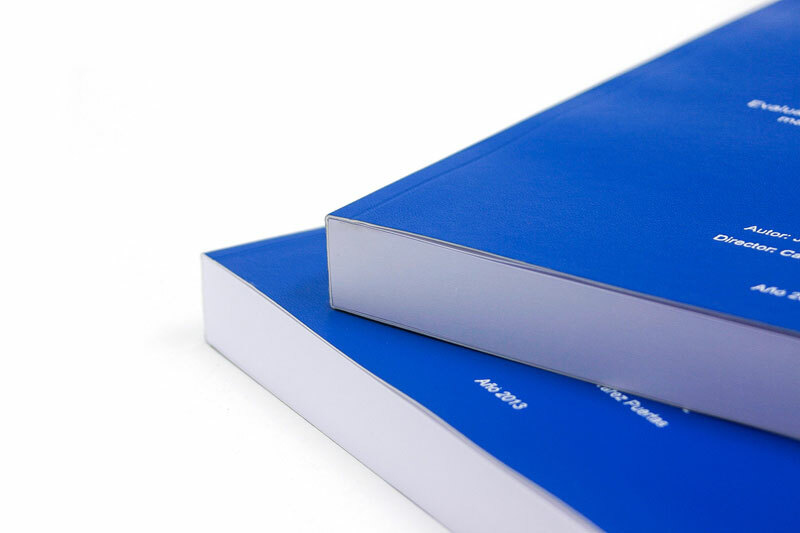 We can add PVC insert sleeves for external documentation you need to attach to your thesis. 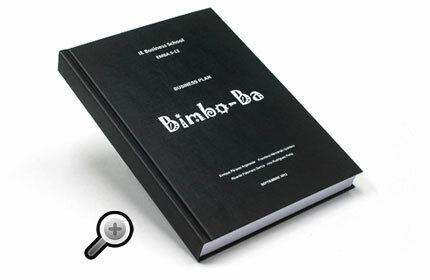 Plans and unfolden documents in din-A3 size..